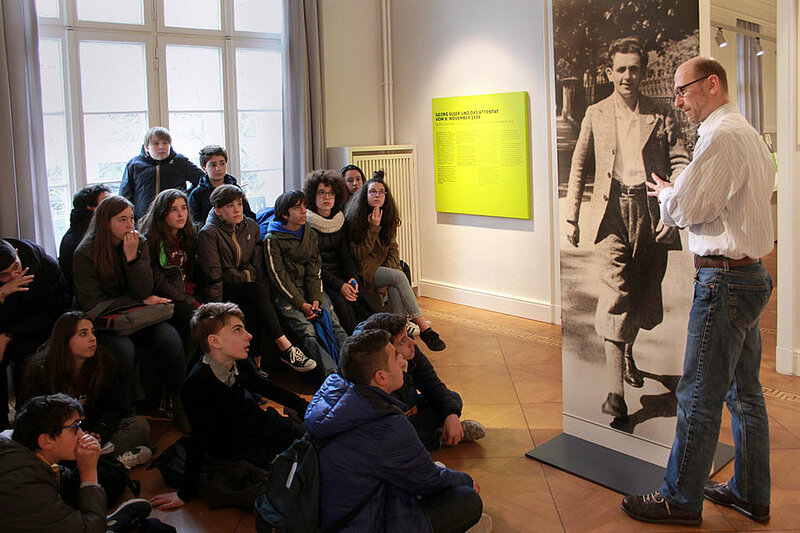 The German Resistance Memorial Center offers guided tours for pre-registered groups free of charge around selected parts of the permanent exhibition. 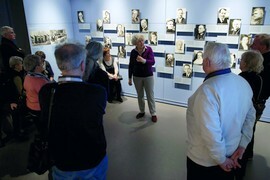 In dialog with the visitors, these tours provide information on resistance activities by individuals and groups, along with their motives and goals. They also address German society’s reactions to resistance against National Socialism after 1945. All events are free of charge for participants. A tour lasts approximately 90 minutes. When registering for a tour, you can select one to two focal topics, which are discussed in greater depth during the session. Please register at least six to eight weeks before the requested date, using our online registration form. 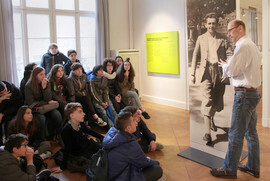 Guided tours are available in German, English, French, and Italian. Individual visitors can make use of free audio guides in German, English, French, Spanish, Italian, Polish, and Turkish, or a video guide in German Sign Language. 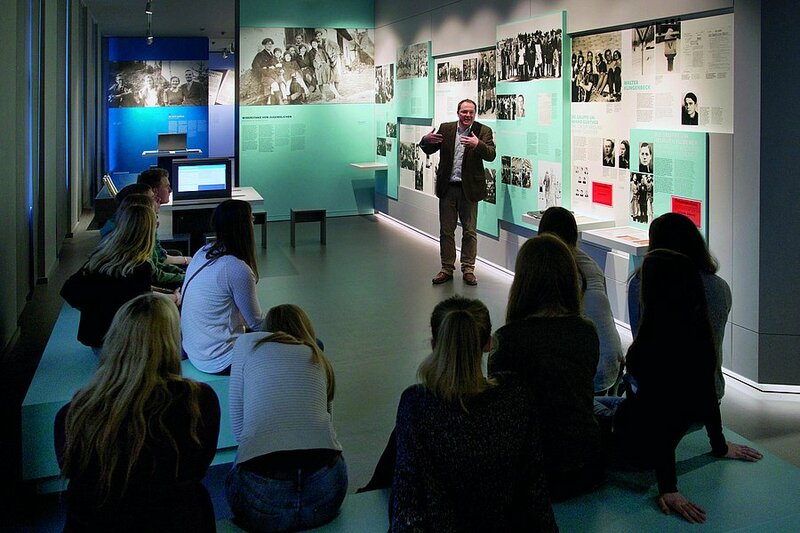 Free public guided tours in German are held at 3 pm every Sunday. There is no need to register for these tours in advance. When registering for a guided tour, you can select one or two focal topics, which are discussed in greater depth during the session. 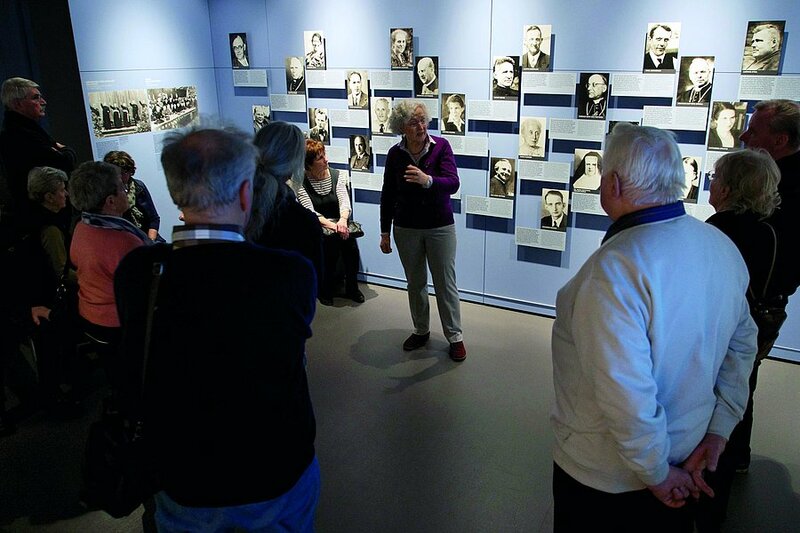 You are very welcome to book a free tour around our permanent exhibition for your group (from 10 to 50 people).